A garage sale requires some preparation to maximize sales and this Garage Sale Sign and Sticker set includes everything you need to get started. 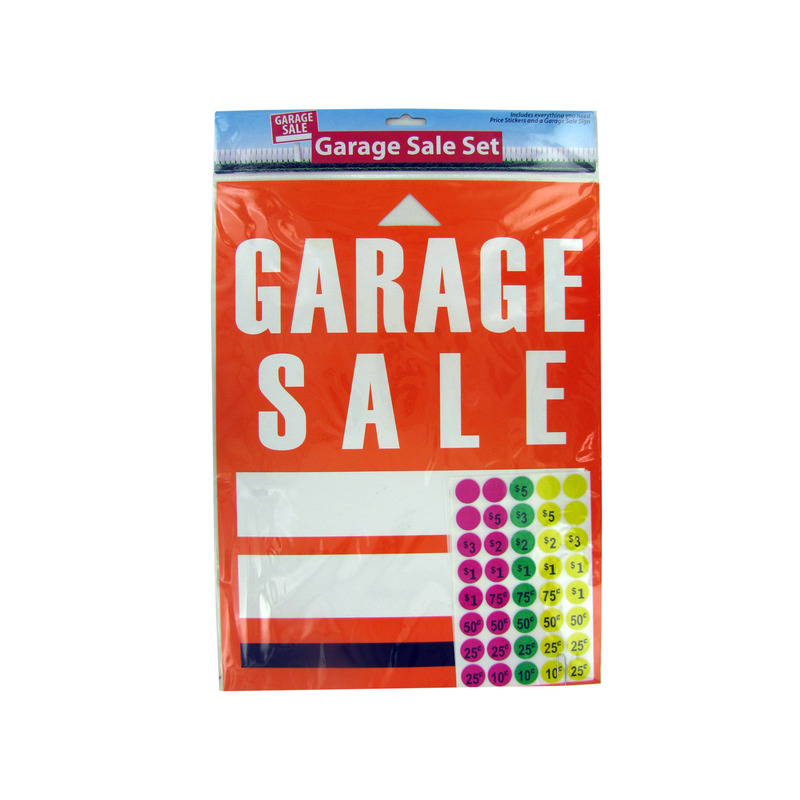 The set includes 200 varied price stickers, including blanks, and a bright orange easy to hang garage sale sign that will surely attract customers. Comes packaged in a poly bag with header card.